Social media is an excellent place to Hangout, connect with your friends, and share your life experiences. However, today it has become a primary source of traffic for internet marketers and e-commerce stores. There are 10s of different social media channels, each having their own set of rules, diverse user base, and type of visuals supported. Some of the popular ones are Twitter, Facebook, Pinterest, and Instagram. Being a solo marketer, it is harder to manage all these accounts and post consistently at the right time. Also, you may be in a different time zone against your target visitors country, and it makes sense only if you’re able to post when your target visitors are online. So, what’s the best option you have? Start using social media automation tools. There are multiple social media automation tools for every channel, and it makes only sense to use one of it to automate your promotion strategy. In this post, I am sharing the best social media automation tools for busy bloggers and how to use it to the fullest. The good thing is that all of these tools are either completely free or have a trial version available. So, there are no reasons, why you shouldn’t use these and save your valuable time. 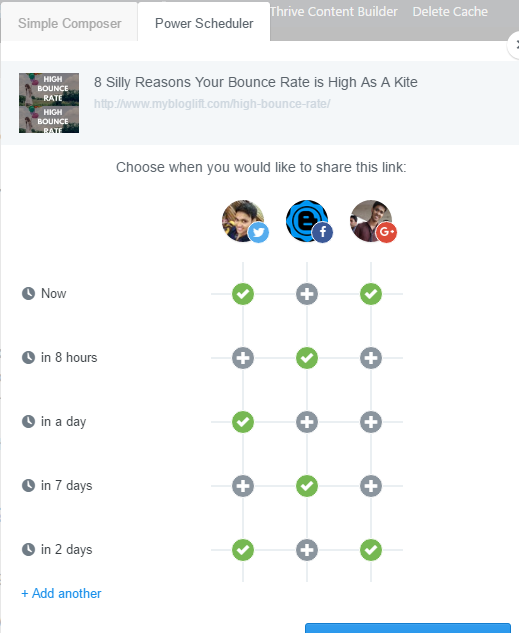 The first social media automation tool in our list is Buffer albeit one of the most popular ones as well. The buffer is prominently used for Facebook and Twitter schedule. However, it also supports Google+, LinkedIn, Instagram, and Pinterest (pro version only.) One of the significant advantages of using Buffer for Facebook and Twitter is auto-shortening URL, which helps in keeping the post under the limit and looks better. Also, you can keep track of performances of posts and tweets, and repost the most popular one with a single click. The free plan allows you to connect up to 5 social media channels and schedule up to 10 posts in a buffer. While using browser extension, you can also utilize the advance post scheduler called “Power Scheduler.” Basically, it helps you schedule the same post, at different times, to various social media account. It is how it looks in action. As you can see, it lets you individually decide the timing and the social media accounts. You might not be a big fan of Pinterest, but trust me it is a goldmine for targeted, high-converting traffic. Pinterest is mostly neglected by bloggers as they believe it is just for fashion, recipe, and food bloggers, but it is not. Interestingly, Pinterest is one of my biggest source of traffic, and I get 3000+ page views from Pinterest every single month. And I spend a maximum of 15-20 minutes daily scheduling my pins to group boards. I use and trust ViralTag as my favorite automation tool for Pinterest. It is definitely the most feature-rich tool available at an affordable pricing point. 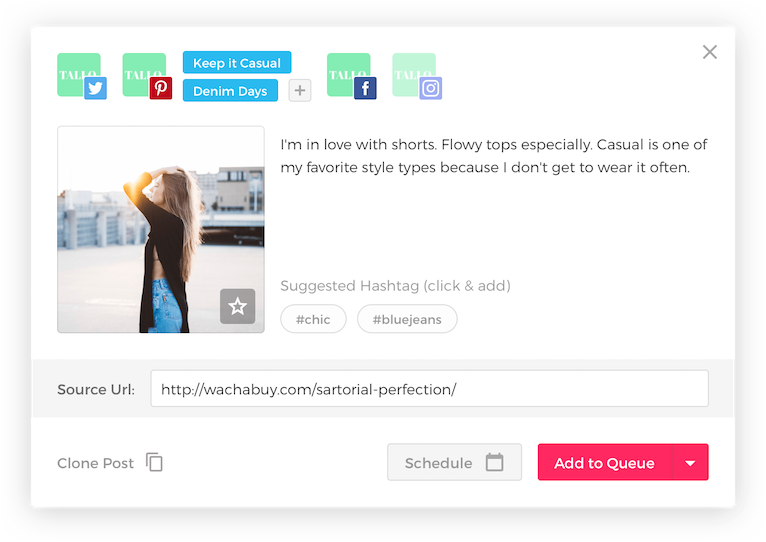 So if you don’t want to invest in buying multiple tools, you can just buy ViralTag and schedule posts to all channels from a single dashboard. You can read my review of ViralTag to understand the working of ViralTag. The next awesome social media tool for automation is TweetDeck. It is a Twitter-only tool, officially created by the Twitter team, to help you manage your Twitter account and schedule tweets from a single dashboard. TweetDeck is a handy tool, which lets you browse your Twitter feed, read notifications, and messages on a single screen. You can add more columns and browse through multiple columns at a single time. It enables you to schedule multiple tweets quickly, and also the user suggestion is supported, which makes tagging people a lot easier. Tweetdeck is a great replacement for Twitter for those who want to multitask and use Twitter like a PRO. Both Buffer and ViralTag support Instagram but Later is a more convenient and feature-rich option for Instagrammers, which allows you to schedule posts. Due to the nature of the application, Later doesn’t have direct permission to access your Instagram account and automatically post to it. Therefore, it uses a reminder/notification feature, where you get notified every time a post is near its scheduled time. After that, all you’ve to do is click and post it on your Instagram. Technically not a tool, but a great WordPress plugin to keep your Social Media presence alive. Revive Old Post (formerly Tweet Old Post) will automatically repost your old blog post from time to time to different social media channel. 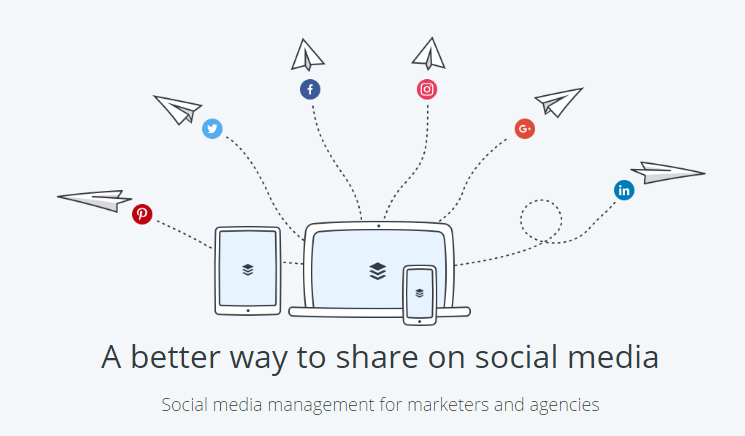 As of today, it supports three major Social Media Channels – Facebook, Twitter, and Linkedin. Since I started using the plugin, I have seen a real increase in the traffic on my blog, and I don’t have to do any hard work. You can also choose to exclude specific categories or post and make sure only the best of the articles are re-posted automatically. There’s also a pro version of Revive available which costs $75/year for one personal website. If you’re a serious blogger who wants to join blogging as a full-time profession, I would suggest you try out the pro version. It’s worth what you’re paying. I started using this amazing tool last month and believe me when I say, I love it! Quuu is not a tool where you create content and schedule to be shared, but it is much more and better. With Quuu you can choose the best categories that define your blog, and it’ll automatically curate some of the best articles in that niche and share it on your behalf. It connects to your buffer account and uses the same for scheduling. The curated contents are automatically optimized with hashtags and mentions which helps in keeping the audience engaged and staying active. With the free account, you can curate and schedule up to 2 suggestions per day across 5 different interest categories. You can also select whether you want the recommendations to be automatically shared or stay in pending status for you to approve. Overall, it is a must-have tool to continually share amazing articles with your readers. While scheduling too many social media accounts, it is a smart move to have a social media promotion plan ready. Trello Boards is a great (and free) way to create a timetable, keep the record of results, and efficiently update your marketing strategy. You can also create a board to maintain records of username and password if you’re using multiple accounts for one social media channel. 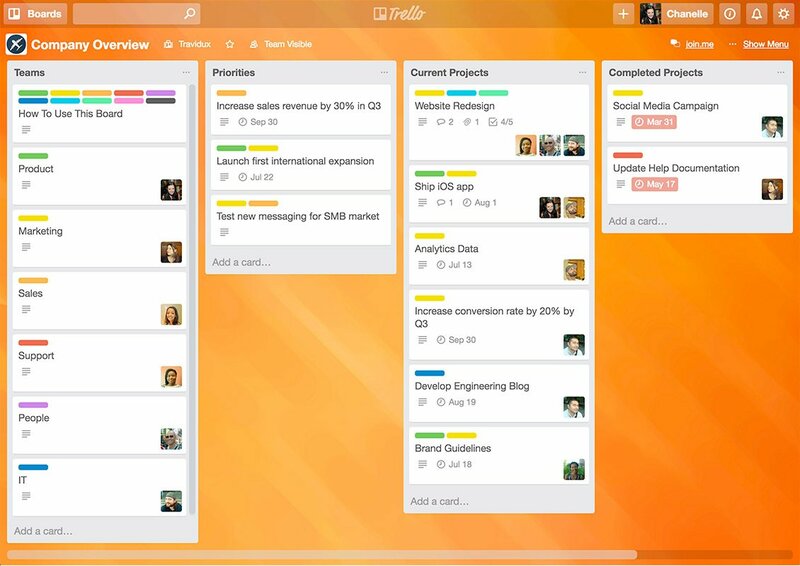 I use Trello to help me blog consistently, and it is working correctly for me. Read More: A massive list of 35 free online tools for bloggers. If you’re not an SEO expert and have a love-hate relationship with Google, social media has to be your primary source of traffic. And to manage everything accurately and to not be frustrated, it is recommended to use above mentioned tools. These tools will fasten up your work and leave you with extra time for other important stuff. 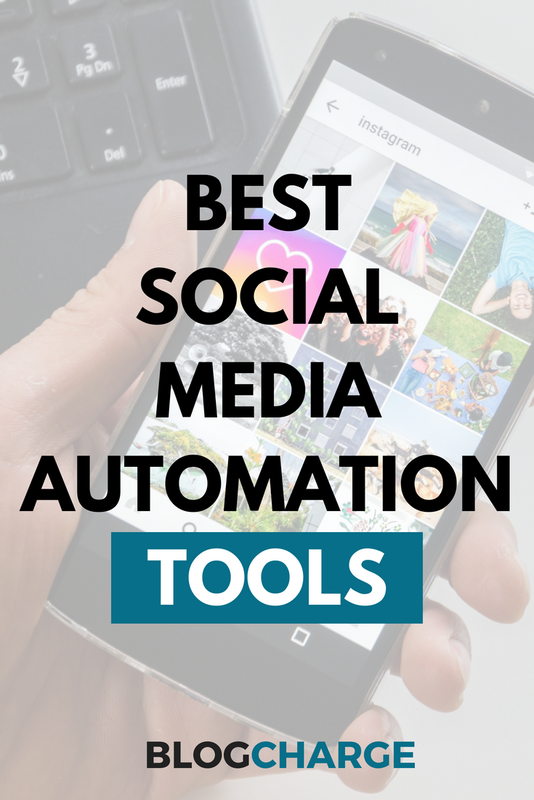 What social media automation tools are you using? Mind sharing your experience with me and other readers? Scroll down and start writing about it in the comments section below. And do share this post with your friends and followers on different social media channel. There are handy social media sharing buttons available. Its a nice read to know about these great tools. My blog’s social signals are zero & I am looking forward to take on it. Can you please suggest me where to start. How to make proper pages on social media like Facebook, Twitter, Linkedin etc. I am not goof at Photoshop but very good at power point. If i could get some templates will be very helpful. hi , Is there any advantage of using hootsuite etc websites ?? You don’t have to manually post the social media updates. By using these tools, you will save time and the tool will automatically post at the best time. Thanks for your article and sharing your thoughts on the different social media tools! I was looking for a solution to cross-promote content on social media channels. But, most tools offer only to connect to a limited number of social media channels, even the popular ones like Buffer or Hootsuite. Now i´m using Blog2Social as plugin for WordPress. Here you can connect your WordPress blog to Facebook, Twitter, LinkedIn, Google+, Instagram, Pinterest, Reddit, Tumblr, Medium, Torial, Flickr, Diigo and Bloglovin. That´s very handy if you want to get all your channels together on one platform and also to reach out to people. The free version of Blog2Social is already a good choice which offers you a whole bunch of great features for automatic sharing of individually customized content on all connected social media networks. Maybe it´s an interesting suggestion for a new list. Huge Tweet Deck fan here. Love it. Nice list of tools too. TD is in and out easy. Like I log in, set up lists, and all the information flows to me quite effortlessly. Through the lists, engagements, RTs, and free flowing tweets based on specific hash tags. I love it. Big time saver. As are all these tools. Glad to see you again on my small blog. TD is definitely a time saver and one of the easiest tools for social media scheduling. I’ve been using it for quite some time and it works like a charm. Some of the tools you mentioned here are new to me. I use Buffer because I worked mainly on Facebook and Twitter. Hootsuite is also very good. Anyway nice written article. I will use some of the toos from your list. Great tools! Curious to try ViralTag for Pinterest 🙂 I have been using Hootsuite to schedule my Instagram, Twitter and Facebook posts. Works great too! Great to see you found it helpful. And do try ViralTag and let me know how it goes.